Recently, I wrote an article on the great scholar Gedun Choepell (or Choepel) for Seminar magazine. In 1949, despite appearances to the contrary, Tibet was changing; the Kashag had decided to send a delegation to visit the neighbouring countries. Suddenly many in Lhasa understood the necessity of a written history showing that Tibet had been an independent nation for two thousand years. Gedun was freed and invited to write a new history of Tibet. But by this time he was a broken man and had started to drink heavily. His closest disciples considered his drinking and smoking habits to be the conscious suicide of a yogi. This could be debated, but it is clear that he was a desperate man. The fact that he was asked to write a history of Tibet by the Kashag (Tibetan Cabinet) is a proof of his sincere nationalism; Gedun knew that Tibet had to fight to regain its past glory. For more than thousand years, the Dharma has impregnated the spirit of the Tibetans and what can we do now? One ironic solution would be to take the Jowo (the main statue of Buddha in the Central Cathedral of Lhasa) the symbolic nostril of all the Tibetan Buddhist tradition in Tibet and to install in the middle of the Tibetan territory, between Kham, Amdo and Central Tibet, in order to unify Tibet with the religion. The Chinese remember what has happened thousand years ago, and they always think to get rid of the barbarians [from Tibet]. The Kuomintang is projecting to built a road which will penetrate inside Tibet, pretending that way to solve 'the Tibetan problem' in a time frame of three hundred years. The Chinese think in long term, and they are our mortal enemy. The Communist Chinese are going to come. Take care of your language, written as well as spoken. Just one month after the Communists entered Lhasa (September 1951), he passed away. The sad irony of the story is that Communist regime in Lhasa is now planning to open a museum in memory of the Tibetan scholar. China Tibet Online reported: "A museum in commemoration of Gedun Chophel, a Tibetan humanism pioneer and scholar, is expected to be completed in Lhasa in July, 2013." A list of the achievements of the scholar from Amdo is also given: "He participated in the survey and the catalog of the remains of the palm-leaf manuscripts in Tibet, the interpretation of ancient Tibetan literature in Dunhuang, the exploration of Tibetan philology, the English translation of Tibetan ancient books and other groundbreaking academic activities. He also wrote and translated a lot of books, and produced a great number of paintings. All these promoted the later development of Tibetology." It is not strange that to 'memorize Gedun Chophel'，the government of Tibet Autonomous Region decided to build a museum in his name? Poor Gedun Choepell, wherever he is today, he must be horrified, or perhaps, he is just laughing at the ways Chinese propaganda is able to use anything for its benefit. Gedun dreamed of uniting the Three Provinces, now he is uniting the Communists and the exiled Tibetan youth in his cult. ONE excuse invoked by Communist China to brutally invade the Roof of the World (they spoke of ‘liberating’ it), was that ‘old’ (pre-1950) Tibet was not a perfect society. While it is a ludicrous pretext to occupy the Roof of the World, nobody can deny that the system of governance in Tibet left much to be desired, particularly the ‘rule by incarnation’ which left a gap of 20 years or so before a new Dalai Lama could take over the reins of the country. This time gap was often used by outside forces to influence the policies of the Lhasa government. It was a truly unhealthy situation. At best, the period known as the Minority, was a time of uncertainty and inertia, when nobody was ready to take important decisions for the welfare of the state. Another problem in the ‘old’ Tibetan society was its incapacity to accept different ways of thinking. The life and ordeals of Amdo Gedun Choepell symbolize a Tibet divided between the conservative Buddhist clergy, the aristocratic landowners, the poor devout common men and a handful of brilliant and progressive young Tibetans wanting to bring about changes in the Land of Snows. The latter often did not know how to trigger reforms in a static society. Compared to India and China, Tibet had many pluses in the 1940s; these eventually turned to the country’s disadvantage a few years later. Tibet was independent and had never been colonized. Though at certain periods of its history, Tibet had been under a vague suzerainty of the Mongols or the Manchus, the overlordship had always been at most nominal;1 Tibet enjoyed a true autonomy. The negative aspect of this was that at a time when Asia was boiling with nationalist fervour and the neighbouring countries were fighting to end western dominance, Tibet enjoyed itself. It had nobody to throw out; the last Chinese had left Lhasa in 1912, and those who came back after the death of the Thirteenth Dalai Lama were eventually sent back in 1949. The handful of ‘foreigners’ living in Lhasa were well integrated in the ‘establishment’. Tibet had a further ‘disadvantage’, the colonial powers wanted to keep the political status-quo and therefore often took the side of the most conservative elements in society. Reformers were not supported, or even tolerated by London which acted strictly in the interest of the Empire. The life of Gedun Choepell should be seen in this context. Born near Rekong in Amdo province of eastern Tibet in 1903, Gedun joined a branch of the great Labrang Tashikyil2 monastery called Yama Tashikyil when he was still very young. A few years later, he entered another monastery called Ditsa. Having been recognized as an incarnate of this monastery, he became known as Alak Ditsa.3 He would later be known as Ditsa Kambo (Ditsa the Thin). When he joined the main Labrang Tashikyil, he was already famous as a formidable debater and a great scholar. It is at Labrang that he wrote his famous critiques of the Madhyamika, one of the main textbooks of Labrang. Though still in his twenties, he was already different from the other monks, noticed not only for his scholarship but also his non-conformist ways. An example is when he invented matchbox boats that he tested in the lake of the monastery. The monastery authorities reprimanded him for indulging in such activities. Later, he fabricated flying objects, which are said to be still exhibited in the main hall of the monastery. In Labrang, he left behind the memory of being a sort of Tibetan Leonardo,4 mastering not only Buddhist philosophy but also the arts, painting, history and whatever he touched, giving birth to the legend of Gedun Choepell. Later he went to Drepung monastery where he became a student under the famous Geshe Sherab Gyaltso. Still in his twenties, he left for India and became a wandering monk. For the next twelve years he moved around Aryabhumi, the sacred Land for the Tibetans. He travelled as far as Kashmir and the Northwestern frontiers and as deep South as Sri Lanka. Wherever he went he studied the people, learned their language and wrote about their history. In northern India, he looked for the remnants of the Kingdom of Oddiyana5 where Guru Padmasambhava is said to have lived before going to Tibet. In Sri Lanka, he studied Pali and the southern (Theravedin) Buddhist tradition and wrote about the Vinaya rules practised by the local monks. At that time he wore the orange robe of the Hinayanist monk. During his pilgrimages and travels, he took the opportunity to draw the first Tibetan maps of Buddhist pilgrimages in India. His fantastic memory, sense of history and curiosity took him to several holy places of India, in particular Benares and Patna, where he began studying Sanskrit, Hindi and English. He was even offered a teaching post by Rabindranath Tagore at Shantiniketan, but as a true monk he loved being on the road and refused. He became friends with the greatest pandits of his time such as Nicholas Roerich and Rahul Sankrityayana. In 1938, he accompanied the latter to Tibet in search of old and lost Sanskrit manuscripts. His scholarship was of great assistance to the Indian pandit who wanted to collect these old texts that no longer existed in India, but had been preserved in the Tibetan monasteries for over a thousand years. The expedition was quite successful and many of their discoveries are now kept in the Bihar Museum where, after his return to India, Gedun Choepell worked for some time to index the manuscripts. The writings of Gedun Choepell covered many diverse subjects ranging from some chapters of the Bhagavad Gita, the Dhammapada (translated from Pali to Tibetan in Sri Lanka and published in Kulu), a translation of Shakuntala of Kalidasa, some hymns of the Rig Veda, to a complete translation of the Ramayana and the Kamasutra. But Choepell’s masterpiece was The White Annals, a totally new interpretation of the history of Tibet. All his writings, notes, paintings, and sketches are said to have been kept in a black box which always travelled with him and it is unfortunate that the famous black box containing the most illuminating writings of modern Tibet was to ‘disappear’ during his trial in Lhasa. After his release, the treasures contained in the box could not be traced. Perhaps the disappearance of the black box is a symbol of an old Tibet which could not understand radically new ideas and accept different views. The writings in the box were a symbol of Gedun Choepell’s great love for the human spirit and for India. The true passion of Gedun Choepell was the history of Tibet and his remarkable work opened the way for a new interpretation of prehistoric Tibet. Another of his revolutionary researches concerns the Tibetan scripts brought by Thommi Sambhota in the Seventh Century AD. He could trace their origin to a Gupta script of ancient India. Many people played an important role in his life, one of whom was a missionary from Kunu (Himachal Pradesh) known as Kunu Tharchin Babu, who had started the first Tibetan language newspaper called Melong6 in Kalimpong. When in 1945 Gedun decided, against the advice of his friends, to return to Tibet to change the old society, it was the beginning of his troubles. Lhasa was not ready to accomodate such a controversial personality. While in Kalimpong he met some of the ‘exiled’ Tibetan revolutionaries, in particular Ragpa Pandatshang, the leader of a new ‘Improvement Party’.7 Gedun Choepell left Kalimpong disguised as a pilgrim but instead of taking the normal way via the Chumbi Valley, he decided to go through North East India and visit Tawang and the Land of Mon.8 He travelled through eastern Bhutan to finally reach Tawang where he was keen to visit the place where the Sixth Dalai Lama, Tsangyang Gyatso, was born. Gedun had already shown a lot of interest in this unusual Dalai Lama, in particular in his secret life in Amdo and Mongolia after his presumed death at the hands of the Mongols. 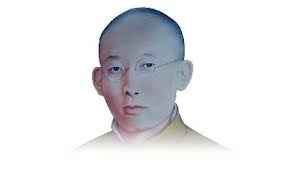 Gedun also shared many of the young Sixth Dalai Lama’s loves: poetry, wine and women. Did he discover anything interesting about the history of Tibet in Monyul? During his stay in the area, Gedun Choepell is said to have drawn a detailed map. It seems that this map had been requested by Ragpa Padatshang; it was later passed on to the Kuomintang (without the knowledge of Gedun) and he was accused of being part of the Improvement Party plot. As soon as he reached Lhasa, wearing a torn chuba, he was arrested. He eventually spent some three years in jail in a room at the bottom of the Potala; it is during this time that the old black trunk containing all his treasures disappeared. An Indian Intelligence Report9 (No 21/48 dated 23 July 1948) prepared by Harishwar Dayal, the Political Officer in Sikkim, released recently says: ‘It is gathered from a reliable source that Gedun Chomphel, who is now in the custody of the Tibetan Government is a Communist and an agent of Soviet Russia, appointed by Pandit Rahul La [Sankrityayana]. It is said that he stayed with Pandit Rahul in India for some time and during that time they manufactured false Tibetan currency notes.’ It is difficult to say if it is true or not. During the last two years of his life, he lived like a sadhu, rejecting whatever was presented to him, and returning clothes, food and other presents. Though the Tibetan government was now ready to provide him with a decent life, he was not interested in any material benefits and did not want to keep anything for himself. He had become a true Nyonpa, a crazy saint, not attached to anything and often behaved in a strange way. He loved women until his last days. While in India, it was rumoured that he had many mistresses but on his return to Tibet he often denounced the Tibetan men’s macho behaviour and declared his high consideration for women. An era had come to a close: Would it have been any different if Gedun Chompell and others had been able to express themselves freely and influence the policies of the Roof of the World? It is difficult to say. In any case, history can’t be rewritten, though one can learn from it. 1. ‘A constitutional fiction’, in Lord Curzon’s words. 2. The largest monastery of Amdo. 3. In eastern Tibet ‘Alak’ corresponds to ‘Rinpoche’ or ‘Precious’. It is a title used by reincarnated lamas. 4. Though nobody knew of Leonardo da Vinci in Labrang. 5. Located in Swat Valley in today’s North West Province of Pakistan. 7. Ragpa, one of the Pandatshang brothers was himself a great scholar, but because of his connections with the KMT government in Nanjing, he was later declared persona non-grata and expelled from India. 8. Today, western Arunachal Pradesh. 9. National Archives of India, Reports regarding Gedun Chompel La, alleged to be a communist and an agent of Soviet Russia and Ceishe Cholak of Tibet, nos. 8(50)-NEF, 1948 (Secret), NEF, 1948. 10. Good for the Tibetan government who had failed to understand the changed times.